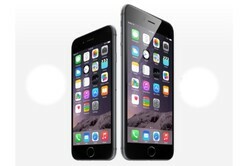 US customs have seized fraudulent iPhone 6 handsets, even before the new device has been launched onto the market. In late August, Customs and Border Protection (CBP) agents intercepted two iPhone 6 phones among other counterfeit devices and cell phone accessories infringing the intellectual property rights (IPR) of Apple and Samsung. The various courier consignments inspected by CBP officers at the San Juan Air Cargo facility, revealed other fake products such as 2 Samsung Galaxy phones, and 319 iPhone cell phone panels. "Counterfeiters have the audacity of selling fakes even before the new branded product makes its official unveiling," said Marcelino Borges, CBP's director of field operations in Puerto Rico and the US Virgin Islands. "Our CBP field operations officers will continue to target and seizes imports of counterfeit and pirated goods, and enforce exclusion orders on patent-infringing and other IPR goods."